Upgrading your boiler and controls could save you up to £310 a year, saving you money and helping to protect the environment. 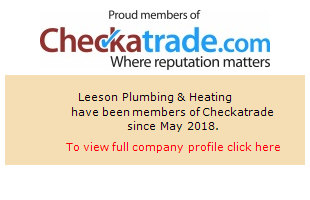 At Leeson Plumbing & Heating we provide a full design, installation and aftercare service for all heating systems. Ever thought about the luxury of underfloor heating in your home? No longer is underfloor heating simply an expensive choice – our expert engineers can provide a complete installation within budget, making it a perfectly affordable heating solution for your home. Upgrading or adding controls to your existing heating system can help save you money. New thermostats and radiator controls are highly accurate and efficient, improving cost efficiency and helping the environment. Many are wireless so there’s no damage to your decor in changing them. Underfloor heating allows you to enjoy the luxury of warm floors, delivering the highest levels of comfort in your home. Provides warmth to cold stone and tile floors. Possible to install in a new-build or retrospectively.